Direct to you from his battles at the Elizabeth Arkham Asylum for the Criminally Insane in the acclaimed video game Batman: Arkham Asylum, the Dark Knight is clad in his black-and-gray duds, ready for his next challenge. 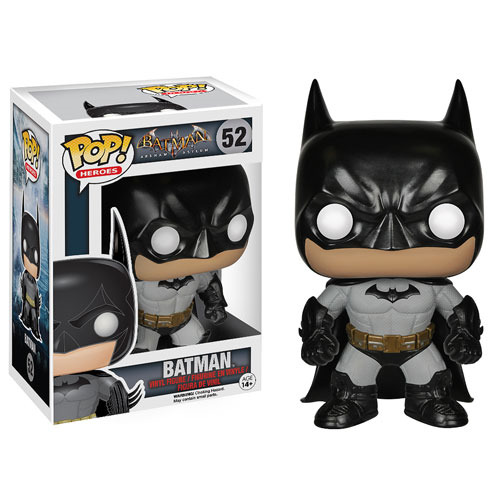 Order your 3 3/4-inch tall Batman Arkham Asylum Batman Pop! Vinyl Figure before it's too late! Ages 14 and up.